Do You Want To Make More Than $68,000 A Year? And Be Home Every Weekend? Company matched 401k, we cover a majority of health insurance, and we fully cover vision and life insurance. Smith Transfer Co. is a family-owned company that believes in the importance of a work/life balance. 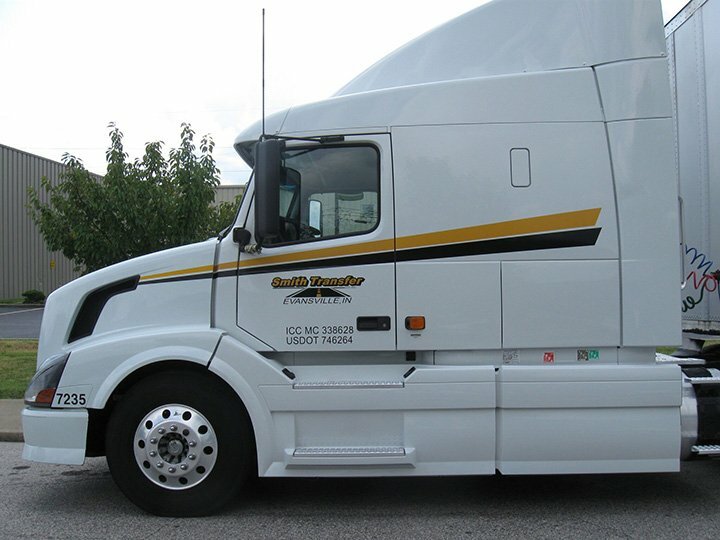 Drivers can make over $60,000 and we offer great insurance and retirement benefits. At Smith Transfer we got your back with the new government mandated e-Logs. We’ve been running e-Logs for over three years and enable our drivers to accomplish their tasks without seeing a decrease in pay. You’re going to love working for us! Apply today to get started. We are known for providing our clients with top-tier service. The method in which we achieve quality of service is by providing our drivers with experienced dispatchers and support. We provide reliable, late model tractors with automatic transmissions, 53-foot trailers dry vans. Along with excellent support, our drivers earn over $0.47 per mile on average, and are eligible to earn a safety bonus up to $1000. We have numerous job openings across the Midwest – apply today! Call 812-434-2345 to learn more about working for our family-oriented company in Evansville, IN. Why Drivers Should Demand To Be Paid A Percentage Of The Revenue? If you’re a Regional or OTR driver in 2018, and you’re being paid by the mile, then you’re leaving money on the table! The new way drivers are taking advantage of the current freight market, is by demanding to be paid a percentage of the revenue you haul! This article explains why percentage pay is the new system drivers need in 2018.